When Claire Broussard finds mysterious letters and a plaster death mask in her Louisiana grandmother’s attic, she takes it as a sign she needs to leave her directionless life and head for Paris. I was fascinated by the flashbacks to historical Paris, when artists “hired” models to live with them and be their subjects. It was fun to learn this bit of history and have it come to life in a work of fiction. Since I’m not usually a fan of historical fiction, even better was reading how it intersected with Claire’s life in modern times. I liked seeing the new excitement in Claire. Blackwell developed Claire’s character well, illustrating how being ultra focused on the mystery of the death mask was part of her grieving process… and proved to be cathartic. I loved the ending – maybe predictable for some, but I didn’t guess it ahead of time. 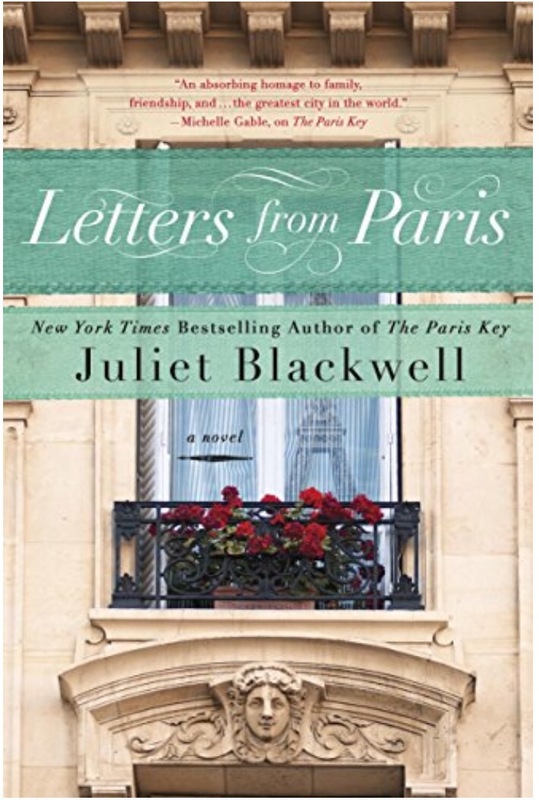 I was too enamored with Claire’s new Parisian life – a testament to Blackwell’s ability to draw me in to every facet of the story and keep me there until the next chapter came along. Gosh, based on the beautiful cover and your sweet summary this seems like a wonderful book. I’m going to check it out. I believe it’s Book Two in a series, but I never read Book One, The Paris Key. Enjoy!